Varna, Bulgaria - February 02, 2014: Front View Of Apple Silver.. Stock Photo, Picture And Royalty Free Image. Image 37132838. 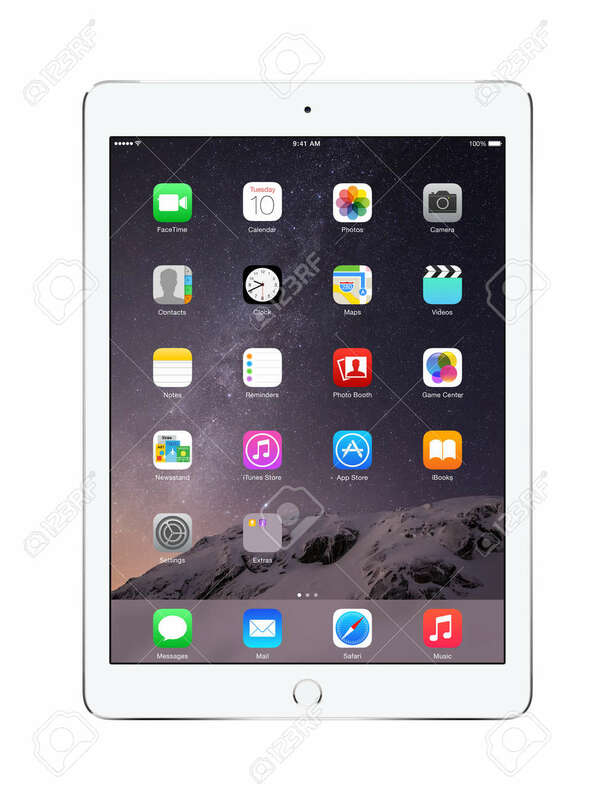 Stock Photo - Varna, Bulgaria - February 02, 2014: Front view of Apple Silver iPad Air 2 with touch ID displaying iOS 8 homescreen, designed by Apple Inc. Isolated on white background. High quality. Varna, Bulgaria - February 02, 2014: Front view of Apple Silver iPad Air 2 with touch ID displaying iOS 8 homescreen, designed by Apple Inc. Isolated on white background. High quality.